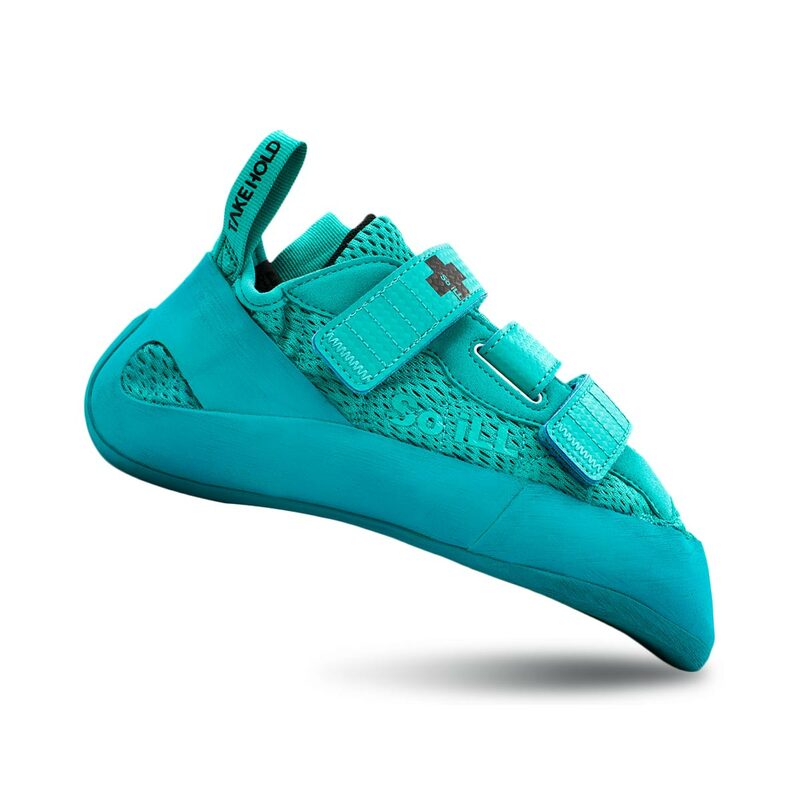 The So iLL Runner climbing shoe is an all-round climbing shoe inspired by the retro running shoe - in style only; modern day functionality is what give this blast-from-the-past its competitive edge. The So iLL Runner Climbing Shoe design’s carefully crafted balance is made for versatility across all styles of climbing. A medium-stiff sole with a highly downturned toe allow for precision and power on technical or steep, overhanging boulder or sport climbs, while the fish-hook thin midsole enhances edging performance on more vertical, slabby routes. 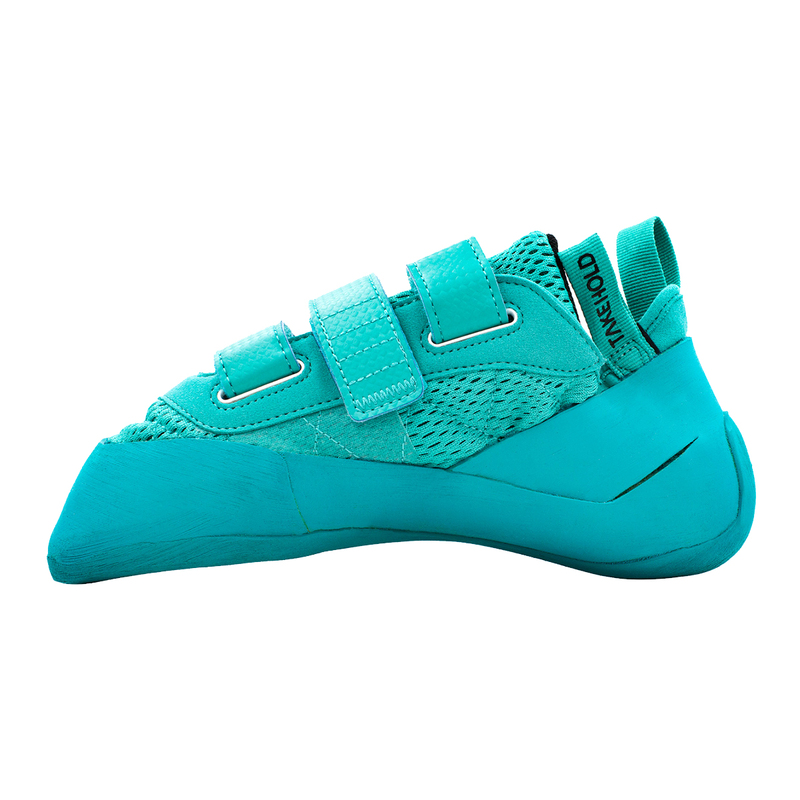 Downturned enough to tackle performance bouldering, but stiff enough for foot support on longer climbs. Style doesn’t have to mean sacrificing function. The guys at So iLL suggest men order a half-size up from street shoe size for a tight and functional fit, and ladies order one size down for a tight, functional fit. Dark Matter Rubber: "Add Colour to your Climbs"
Originally formulated for the United States Navy Seals to ensure security in foot placement during approaches, Dark Matter rubber is now being implemented in So iLL’s climbing shoes for a level of grip worthy of the most advanced and harshest terrains in the world. 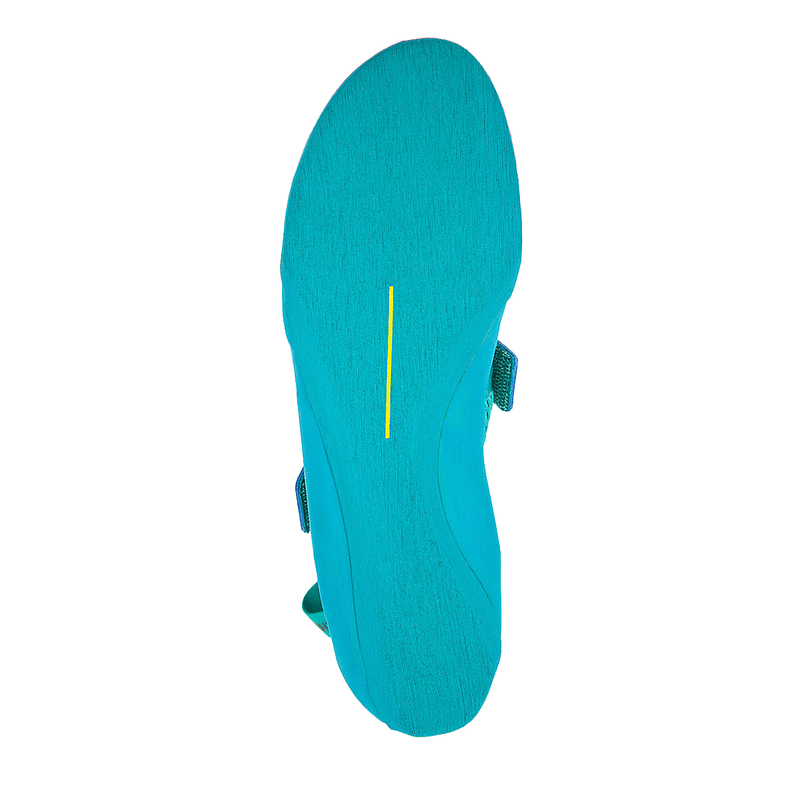 The Runner features all blue "Dark Matter" rubber, a member of the "UnParallel Rubber" family, a sticky coloured outsole rubber and the first ever of it’s kind. The padded tongue, breathable mesh upper, and thin lining offers comfort and reliability. Crafted with synthetic materials to create a long lasting fit (minimal stretch) and a three point velcro closure system, the Runner is a supreme climbing shoe blending fashion and function. REASON FOR BUYING: I was looking for my 2nd pair of climbing shoes end of last year. When I started climbing, I bought a basic Ocun, totally flat and laced. Wanted something not too flat and soft, not too banana to help develop my skills and abilities. Velcro was a must also. I tried picking something different from the mainstream LaSportivas, Simonds, BlackChilis here in Hungary. Despite the divisive reviews from these shoes, I've voted on them. QUALITY: On hand quality feels like just the other better brands. Well structured and manufactured, materials feels quality as well. I didn't notice any spilled glue or any issue, maybe later production batches are now well manufactured. Straps feel strong, rubber is sticky. After almost 2 months of use (twice a week) there is a minimal sign of wear on the rubber sole and on some places on the upper. Nothing critical but minimally noticeable. PERFORMANCE: I think I'm an intermediate climber, I climb only indoor (boulder, and lead as well) and looking for rock in this year. 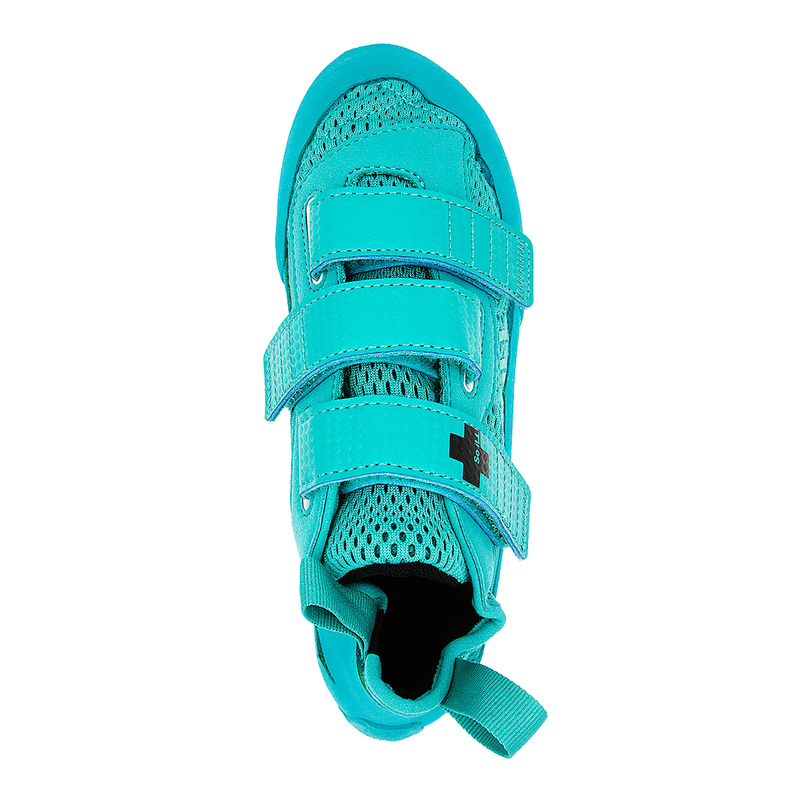 For this level of climbing these shoes are a choice worth to consider. The profile and stiffnes is supportive even on overhanging routes. It's stiff enough for confident edging, but not unsensitive. Rubber is sticky for easy smearing, the nose is pointy enough for small footholds. Heel hooking is still normal, but toe hooking is where these shoes do not shine, coz of the lack of a rubber patch on the upper nose. I had to adapt my way of climbing to it. The 3 straps closure system is welcomed, you can adjust fit to your needs. What was a clear notice for me, these are not the best ventilated shoes. If it matters: the style is unbeatable! To be honest, you will be a unique human in the gym :) The color and design is pretty outstanding, you will have staring eyes on you. VALUE: I bought these shoes on -30% sale. With this discounted price, this is a great valued model. With a full price I think it is worth to have a look on the competitors, as it feels a bit overpriced. I have done bouldering for 2,5 years and I have used these for 2 months fir ndoor bouldering 2-4 times per week. I use these as my bulk training shoes and will change to other shoes for any projects or outdoors. I have not yet tried these outdoors though. Sizing: I ordered same as my street size, but I most likely use a bit loose fitting street shoes, so advise to order half size up may fit to my case. Fit is very comfortable. For some reason, fit will feel much looser after some time during a session. Pros: This shoe is really nice looking and will be noticed in the gym. Also comfortable and seems durable. Rubber seems ok, nothing to complain. Cons: Lack of feel with delicate feet holds, I usually change to Edelrid Cyclones for these routes. Sweaty. The comfort and fit is fantastic, the thick toes take a little getting used to, but is great to climb on once you are. I've used them for three months indoor bouldering, maybe 3-4 times a week. If they'd stayed how they were in the first two months it would be a five star review. Some of the top toe box is already starting to thin and there's a slight hole from toe hooks already. I love them, they feel great, perform great and look great but they just won't last which is pretty disappointing. so this is my first review. Design: I think it is important to speak about the overall design of the shoe because it is extraordinary. To make it short, the colour is awesome :D and you will get recognized just by your shoes. Sole and climbing performance: I took these shoes to bouldering first just to test them out and from the get-go it felt weird stepping on tiny holds because the sole is not only soft but also quite thick, which makes it "spongey" at the tip. Unlike the tip of the shoe the heel is quite stiff and great for hooks. BUT this was only my first impression!! I took the shoe for some leading yesterday and the more i climbed with it the more i got used to the sole. After some routes I still had to look at my feet for good placements but this "spongey" feeling was reduced and they felt good and solid. The rubber is very sticky making it a good sole overall. Size: I bought these in 9 (43EU) and they fit tight for comparison i have both Scarpa Vapor V2 and 5.10 Anasazi Velcro in 8(42EU) with my normal shoe size being 8.5(42.5EU). TL:DR; nice colour and flashy, sole feels weird in the beginning but sticks good, size should be like street wear. Did what it said in the Kickstarter instructions for the shoes and ordered the same size as my street shoes. Very snug, with no dead space. They haven't streched out at all, and it almost hurts a bit for the first few minutes of climbing, but they get more comfortable when worn a bit. I haven't climbed outside with them yet, but indoors they're really great.